Are you doing Whole30 and looking for a Whole30 meatloaf recipe? While there are many different ways you can make it, I am going to show you how to make an Instant Pot Whole30 Meatloaf dinner. One of the things I love about cooking with the Instant Pot is you can put it in, turn it on and walk away! And with this recipe, you can have the entire meal cooked in one pot all at the same time. You have to love it when things are this easy. This makes for a fast and easy way to get dinner done when you have had a super busy day. It takes twenty-five minutes to cook plus the pressurize cooking time. So a total of about 35 minutes from the time you put the lid on to being done. The time could vary slightly depending on what size Instant Pot you are using. I used the 6 qt Instant Pot found here. 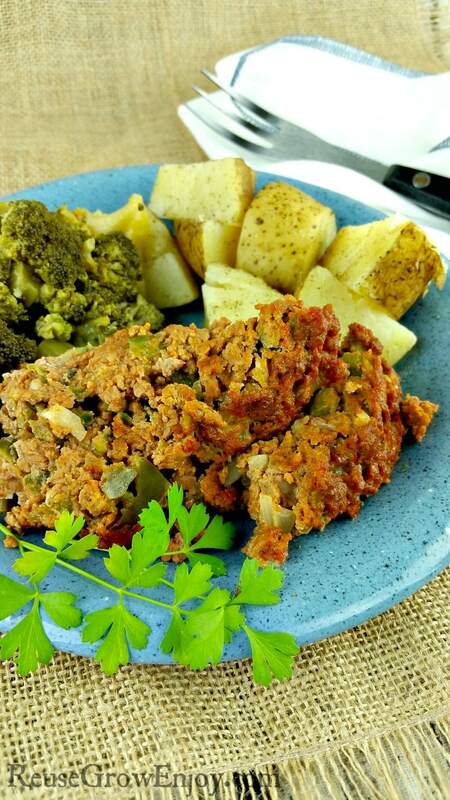 With this Instant Pot Whole30 Meatloaf Dinner, it will have Whole30 meatloaf, diced garlic pepper potatoes, and broccoli. Feel free to swap out the white potatoes with your potato of choice. You can also swap out the broccoli if you want with things like baby carrots, squash, Brussel sprouts and so on. Just be sure that if you swap out the veggies, that you cut whatever you are using into larger chunks so they do not get too mushy with the 25 minute cook time it takes to get the Instant Pot Whole30 meatloaf done. Do you have a favorite go-to Whole30 recipe that you love? Better yet a Whole30 Instant Pot recipe? I would love to hear them. Looking for other Whole30 recipes? Here are a few to check out. Potato Soup Recipe – Made In A Pressure Cooker – Whole30, Gluten Free & Vegan! Doing Whole30 and looking for an Instant Pot Whole30 meatloaf recipe to try? I have one for you! 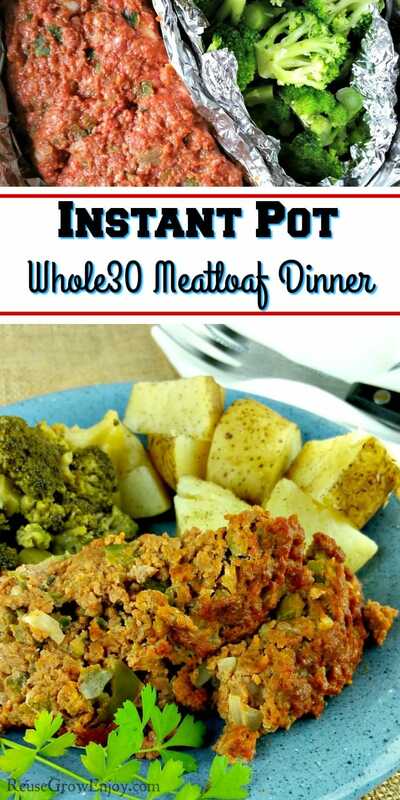 Check out this Instant Pot Whole30 Meatloaf Dinner recipe! Have the whole meal cooked in one pot all at the same time. Pour water into the inner pot. Then place steam rack or trivet in pot. Roll potatoes in oil, garlic powder, and black pepper until fully coated. Then place them on the steam rack of the inner pot. Mix beef, paste, bell pepper, onion, fresh garlic, and eggs together in a mixing bowl until fully mixed. After it mixed, make into a loaf shape and place into foil so that it fits in about half the size of the pot. Set it on top of the potatoes. Next, make another foil pocket that fits in the other side of the pot and put the broccoli in it. Put the lid on the Instant Pot and turn the valve to seal. Push the manual button and add cook time to 25 minutes. When it beeps that it is done, turn the valve to venting for quick pressure release. Put on plates and enjoy! If you just want to make the Instant Pot Meatloaf without the veggies, you can. 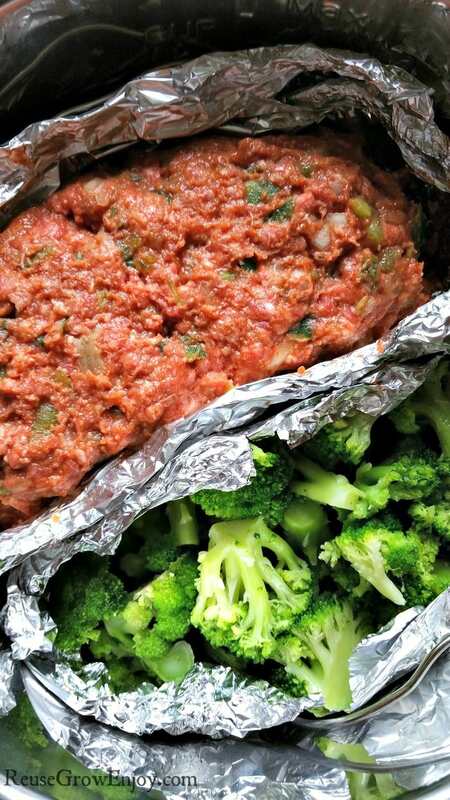 Simply place the rack in the pot with water, then mix your meatloaf and place in foil. Then place the foil on the rack and follow the same cooking directions. Also if you want the top of your meatloaf to be more browned (it will not come out of the Instant Pot like that) simply pop it in the oven on hi broil for a few minutes after it is done cooking. Be sure to set the foil on a cookie sheet or something so it does not rip. This is a totally optional step, more for the look not for the cooking.